Actor Bambadjan Bamba recently revealed his status as an undocumented immigrant and DACA recipient. Stories have mostly looked at how DACA student recipients are having a difficult time concentrating on their studies, worrying if they will be able to finish their degrees. Now, an actor with a familiar face and voice has recently revealed his immigration status. 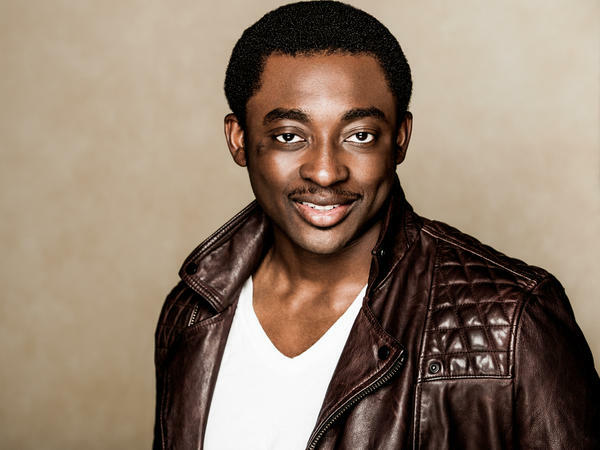 Earlier this week, Bambadjan Bamba — who stars in NBC's The Good Place and will be in the upcoming Marvel film Black Panther — announced he is undocumented and a DACA recipient. People on social media have begun to show support, posting messages of solidarity reading #StandWithBamba. Bamba is working with Define American, an immigration advocacy organization to place pressure on Hollywood to act in favor of saving DACA. Bamba spoke with NPR's Michel Martin regarding his immigration status and how DACA has helped him. He is relieved to have come out about his status, but he says, "it comes with consequences." "I don't know if I'm going to be here or if I'm going to be separated from my family," he says. "I'm a young father now, I have a 1-year-old. I can't be in fear anymore. It's liberating but I'm ready for the fight." When the administration decided they wanted to cancel DACA, I just knew I couldn't sit back anymore and had to join the fight. I just wanted people to know what my immigration status is. DACA that gave me the work permit to continue working. As we know, we need congressional action right now, or else my status and the status of 800,000 people is going to be in limbo. But I just knew in my heart that it was my purpose to be an actor. So I drove cabs in New York City, hustled, hustled, hustled — all the way to the point where I am today. It's challenging. As an actor the hardest part is booking the role. But for me, I was living with this shame, this fear, this anxiety of being undocumented with an uncertain future. So that is an overwhelming weight you have to carry, on top of trying to be the character and booking a role. Sometimes you book a role and you have to travel, and you're not sure how you're going to come back. So this whole [campaign] is really to get Hollywood to stand behind immigrants, there are immigrants working at every level in the industry. I just want Hollywood — the studios, people with influence — to stand with us right now because it's so critical. There's this relief, like: Thank God, I was almost crumbling under this weight. At the same time, it comes with consequences. I do not know if I'm going to continue working at Hollywood, I have no idea. Next year, DACA will end if Congress doesn't pass the legislation. So I don't know if I'm going to be here or if I'm going to be separated from my family. I'm a young father now, I have a 1-year-old. I can't be in fear anymore. It's liberating but I'm ready for the fight. On how he responds to those who think he does not belong in the U.S. I'm not expecting anything than what this country has promised me, that I have the right to life, liberty and the pursuit of happiness. So one, it wasn't my decision to come. Two, because the system is so broken and it took so long — eventually when the asylum was approved, I had to be left out because I was older than 21 — to me that doesn't make sense. America decided to give us a chance, give the Dreamers a chance when Obama passed DACA. And now [Dreamers] have shown that we've gone above and beyond. And now to say: 'Ok well, you went above and beyond but we're going to take that away from you' — it's unfair. It's not what I believe America is. I believe most Americans, most of my friends, people in my industry want the DREAM Act to pass, want DACA, and want to have a real solution. You can see Bamba in a recurring role on NBC's The Good Place and in the upcoming film, Black Panther. NPR Digital News intern Jose Olivares produced this story for the Web. We have another story about the Obama-era government program to shield people from deportation if they came here illegally as children. It's called the Deferred Action for Childhood Arrivals program or DACA. We've heard a number of stories from DACA recipients over the past few months since the Trump administration announced it would not take new applications for DACA and would end the program unless Congress chooses to act. In particular, we've heard from many students who have talked about how hard it is to concentrate on studying while worrying if they'll be able to finish their degrees. Now, we have a different story from someone whose face and voice you might know. BAMBADJAN BAMBA: (As Bambadjan) Would a hug make you feel better? UNIDENTIFIED ACTRESS: (As character) No, I don't think that it would. BAMBA: (As Bambadjan) Oh, too late - you're getting one. UNIDENTIFIED ACTRESS: (As character) Thanks Bambadjan, that does make me feel better. MARTIN: That's Bambadjan Bamba. He's got a recurring role on the NBC show "The Good Place." And he's also in the upcoming Marvel film "Black Panther." But this week, Bambadjan also revealed that he is undocumented, a DACA recipient. And Bambadjan Bamba joins us now from our studios at NPR West in Culver City, Calif. Welcome. Thank you so much for speaking with us. BAMBA: Oh, my God. Thank you for having me. MARTIN: Well, so why now? What made you decide to reveal your status as undocumented now? BAMBA: Well, when the administration decided that they wanted to cancel DACA, I just knew that I couldn't sit back anymore. I had to join the fight. And I just wanted to let people know what my immigration status was, which, you know, like you said, Deferred Action for Childhood Arrivals program in which it gave me the work permit that I needed to continue working. And as you know, we need congressional action right now or else my status and the status of 800,000 other young people is going to be in limbo. MARTIN: So tell me how and why your family came to the U.S. And do you remember when you found out that you were undocumented and what that meant? I understand that you came here when you were 10, if I have that right? BAMBA: Yeah. I came when I was 10, with my parents, from Ivory Coast. And we were fleeing political persecution. And what I do remember was, as a kid, we were filing for political asylum. So when I tried to go to college and I wanted to become an actor, I realized I couldn't get any financial aid. So that's when I had a conversation with my parents, and then they told me. And I was like, oh, my God, what am I going to do? Am I going to pursue my dream? I just knew in my heart that it had to do with my purpose to be an actor. So I drove cabs in New York City, hustled, hustled, hustled all the way to the point where I am today. MARTIN: As we mentioned in the introduction, we've heard a lot from students who are DACA recipients. They're worried about getting deported before they finish school, going to a country that they've never lived in or don't remember. And I was just wondering what it's like for you as an actor while also having that kind of gnawing thing around your status in the background? BAMBA: Yeah. I mean, it's challenging. As an actor, the hardest part is booking the role. But for me, I'm like - I was living with the shame, this fear, this anxiety of being undocumented and, you know, an uncertain future. So that is an overwhelming weight you kind of have to carry on top of trying to be the character and booking the role. And, you know, sometimes you book a role and you have to travel and you're not sure how you're going to come back. So this whole thing is really to get Hollywood to stand behind immigrants. There are immigrants that are working at every level in the industry. I just want Hollywood, the studios, people with influence to stand with us right now because it's so critical. MARTIN: Well, how does it feel now that the secret is out? BAMBA: Well, I have to say, there's like this relief that, oh, thank God, like, I was almost crumbling under this weight, right? But at the same time, it comes with consequences. I don't know if I'm going to continue working in Hollywood. I have no idea. Next year, DACA will end if Congress doesn't pass the legislation. So I don't know if I'm going to be here or if I'm going to be separated from my family. You know, I'm a young father now. I have a 1-year-old. So I just can't be in fear anymore. It's liberating, so I'm just ready for the fight. MARTIN: Before we let you go though, I do have to ask. There are those who do believe you're doing something wrong by being here. There are those who argue, look, if you're not here through proper channels, then you shouldn't be here. There are others who say, look, you're taking work from people who were born here legally who should have first crack at it. What do you say to that? BAMBA: Well, I say, look. I'm not expecting anything other than what this country has promised me, that I have the right to life, to liberty and the pursuit of happiness, right? So one, it wasn't my decision to come - two, because the system is so broken and it took so long. Eventually, when the asylum was approved, I had to be left out because I was over 21. To me, that doesn't make sense. I mean, America decided to give us a chance, give the DREAMers a chance when Obama passed DACA. And now, we've shown that we've gone above and beyond. And now to say, OK, well, you went above and beyond but we're going to take that away from you, it's unfair. It's not what I believe America is. I believe most Americans, most of my friends, people in my industry want the DREAM Act to pass, want DACA to have a real solution. So I guess that's what I have to say. MARTIN: That's Bambadjan Bamba. He's got a recurring role on the NBC show "The Good Place." And he's also in the upcoming Marvel film "Black Panther." He's speaking with us from NPR West about his recent decision to come out as an undocumented person. Bambadjan Bamba, thanks so much for speaking with us. BAMBA: Oh, my God. Thank you so much for amplifying this message. Transcript provided by NPR, Copyright NPR.